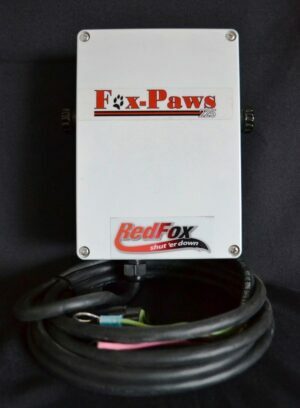 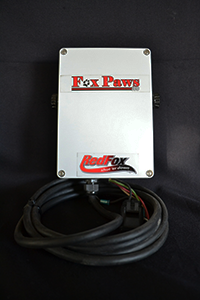 The Fox-Paws 500 is an updated version of Fox-Paws 200 with a corded mechanical shutoff in an explosion-proof housing. 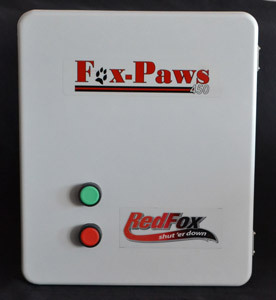 The Fox-Paws 500 is an updated version of Fox-Paws 200 with a corded mechanical shutoff in an explosion-proof housing. 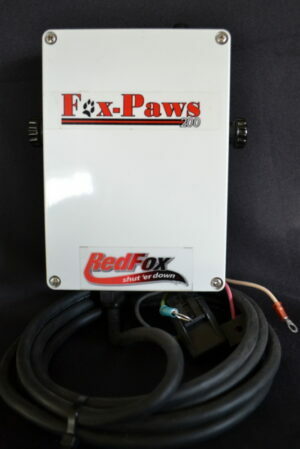 In other words, the housing is sealed so that if the enviorment becomes contaminated with an explosive or combustible material, this unit can be used to shut-down equipment without the unit itself setting off the combustibles. 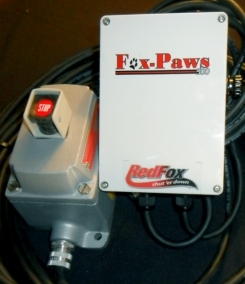 Will save lives, injuries, and equipment.